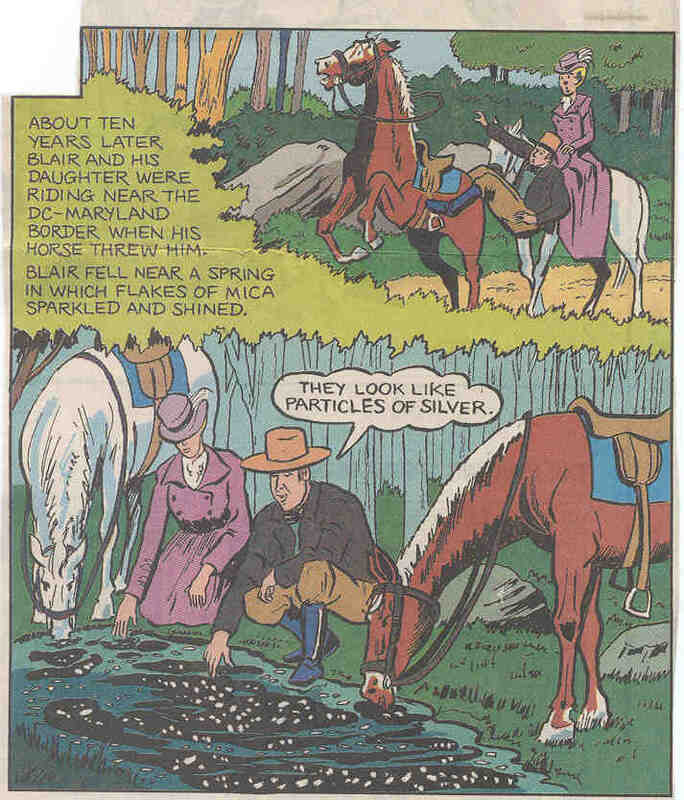 Silver Spring in the Comics! 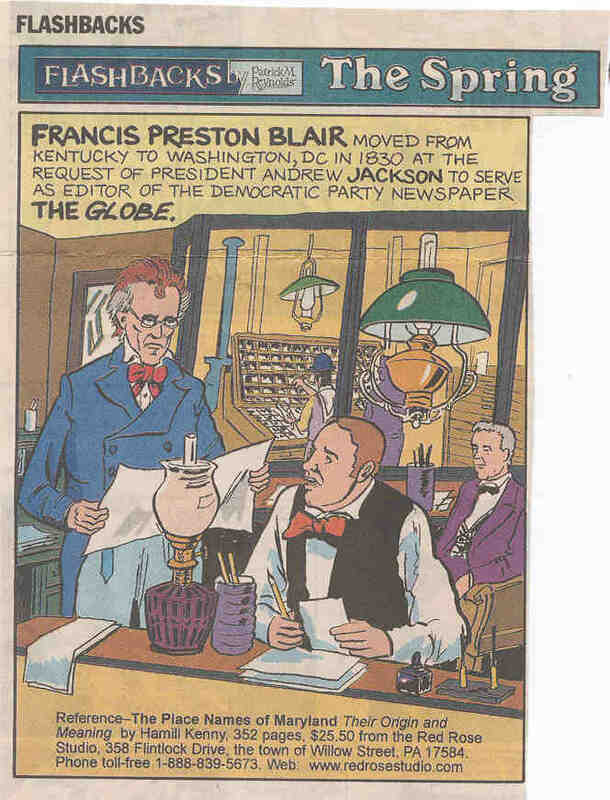 Flashbacks by Patrick M. Reynolds appears in each Sunday's The Washington Post. "The Spring" ran on March 9, 2003. For more information about Flashbacks see www.redrosestudio.com. 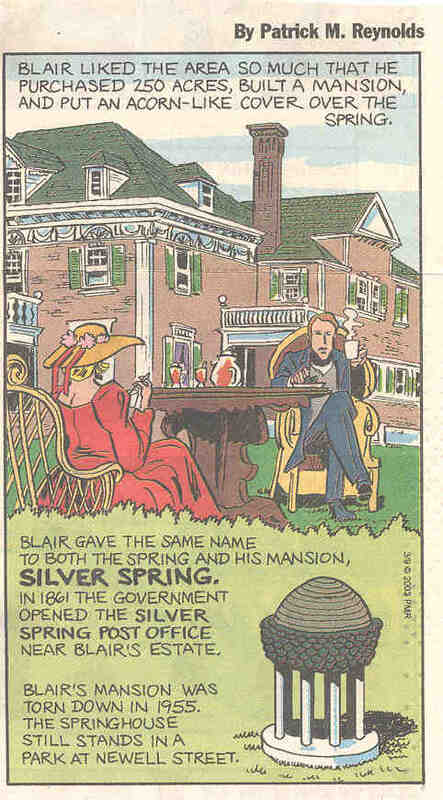 The Silver Spring Historical Society thanks Mr. Reynolds for permission to reproduce this strip here.